You can call him "Bill" or "the Colonel" if you like. Some novels are meant to be seen as well as read. Harry Leon Wilson was successful in that way. His novel His Majesty, Bunker Bean was a Broadway play that was filmed three times in 1918, 1925 and 1936. 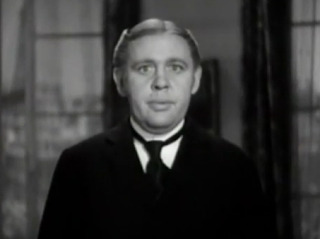 Merton of the Movies also made it to Broadway via George Kaufman and Marc Connelly, and to the movies in 1924, 1932, as Make Me a Star with Joe E. Brown, and in 1947 starring Red Skelton. Wilson’s most popular success Ruggles of Red Gap came to life on Broadway with music by Sigmund Romberg and was filmed in 1918 starring Taylor Holmes (Nightmare Alley, Quicksand, Mr. Belvedere Goes to College), father of Phillips Holmes (An American Tragedy, Broken Lullaby, The Criminal Code). Edward Everett Horton had the title role in a 1923 version of the story. Fond though I am of silent movies, and I’m more than fond, it does seem a shame to see and not hear Edward Everett Horton. In 1950 the story was given the Technicolor slapstick treatment in Fancy Pants with Bob Hope playing an actor who played a butler. A television production in the 1950s gave Michael Redgrave a chance at the role of Ruggles. In 1935 frequent moviegoers might have reached the conclusion that Charles Laughton was the greatest and most versatile actor in Hollywood. He could be seen in Les Miserables as the obsessive and tragic Javert. He was Oscar-nominated for the iconic and still imitated turn as Captain William Bligh in Mutiny on the Bounty. 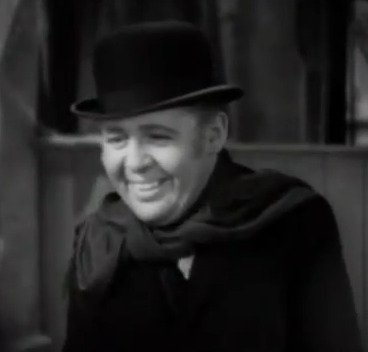 Perhaps the most likable and sweetest role he ever played was Marmaduke Ruggles in Leo McCarey’s version of Ruggles of Red Gap. Egbert is as extreme in his lack of pretension as his wife Effie is in her desire to conquer society. Ruggles is not only aghast at the thought of traveling to an uncivilized part of the world; he is at a loss with how to deal with his employers. Egbert insists on referring to Ruggles as “Colonel” or “Bill”, and actually encourages him to sit at the same table and quaff a few. Following the dictates of duty, Ruggles joins in the merriment with “Sir” and thus begins the breakdown of all moral order. “Madame” at least understands the differences in their stations, but “Sir” doesn’t have a clue. A word here about "Madame" and the Travis Banton designed the costumes for the movie. Effie is a vision, always done to the nines and close to over-the-top. The way Mary Boland can kick that train out of the way and pace the room in agitation is truly awe-inspiring. The silent reactions in this scene are very funny. 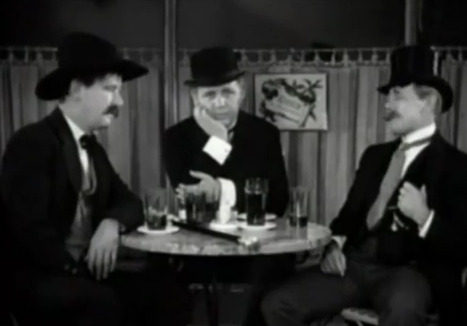 Ruggles of Red Gap is filled with what I think of as the eloquent silences of Leo McCarey. Like many directors of the era, McCarey’s career began in silent cinema. His comedic instincts were honed at the playground known as Roach Studios where he worked as a writer and director with comic greats such as Laurel and Hardy (Big Business, Hog Wild, Perfect Day, Brats, etc.). In 1937 when filming The Awful Truth McCarey's improvisational style first intimated then inspired leading players Irene Dunne and Cary Grant. McCarey’s Oscar-winning Going My Way is a nice example of a leisurely paced film that almost belies his sure hand. Much screen comedy is pushed at us and pushed successfully. McCarey pulls the audience along like a packet boat on the Erie Canal. We will get where are supposed to, to the payoff – the laugh, and we enjoy it more for the trip taken. When we reach Red Gap we are introduced to Ruggles’ new extended family. The money belongs to Effie’s mother, Ma Pettingill played with gusto by Maude Eburne. She has no problem spending her riches to delight her kin, although she is more like her son-in-law Egbert in that she doesn’t worship the green stuff. Her other son-in-law is a rat named Charles Belknap-Jackson (Lucien Littlefield). He came west from Boston when he heard of the windfall and married into the family. He is, unfortunately, Effie’s tutor in all that means high society. 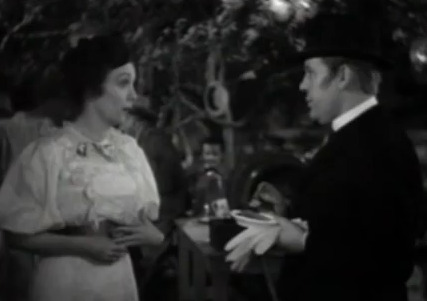 Effie has high hopes of impressing all and sundry with her genuine English valet. The first step is for Egbert to inform the local press so that the jealousy among her set may begin. Back from what he felt were the confines of Europe, Egbert reverts to his comfortable attire and heads to Nell Kenner’s place. Nell (Leila Hyams) runs an open house with free-flowing beer and is frequented by the crowd that would not be impressed by a genuine English valet. Egbert introduces Ruggles as “the Colonel” and the local press embellishes that title with imagined feats in exotic climes in the service of His Majesty. 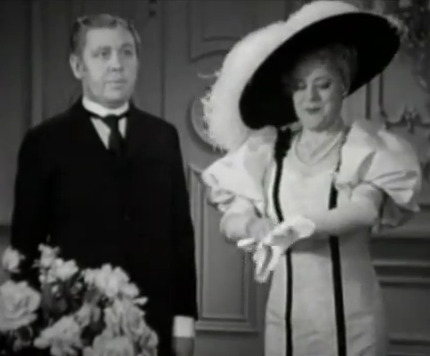 Ruggles even stops his protestations at the misunderstanding when he meets fetching widow Mrs. Judson (Zasu Pitts), who helps Nell out from time to time. First beer, then carousing, now romance for Ruggles?! Effie is mortified when her society friends are all agog about meeting the distinguished visitor, "the Colonel". Belknap-Jackson is outraged. Ma Pettingill and Egbert think the whole mix-up is a hoot. Ruggles, for the first time in his life, is a somebody. Belknap-Jackson pulls some dirty work to get Ruggles out of town and out of the way. 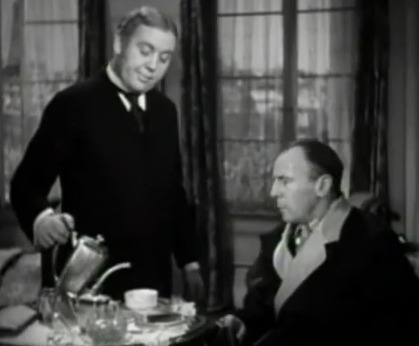 Above note the look of joy and relief on Laughton's face when Ruggles discovers that those he believed were truly his friends were not behind his dismissal. 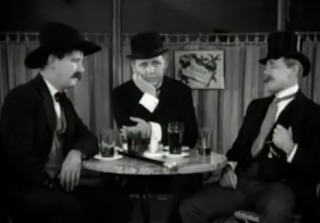 Sharing lunch in the saloon with Egbert and Ma leads to a justly lauded scene where Laughton/Ruggles movingly recites President Lincoln’s Gettysburg Address. Ruggles is no longer a third generation servant. Ruggles may not know exactly who he is, but he is a man. A man at the crossroads. The Earl of Burnstead has found life pretty tough on a fellow who has to pick out his own clothes, and he will soon be arriving to set the universe aright by bringing Ruggles back to the fold. The Earl’s visit will also place Effie and the Belknap-Jacksons back at the top of the social ladder, where they belong. Tradition and duty are thoroughly ingrained in Ruggles' character. What will become of Ruggles and his dreams? What would you do if you were he? What does Mrs. Judson think of her beloved's secret life? What do you want to happen for Ruggles? What about poor Effie? If you can watch the perfect ending to this charming movie without both smiling and shedding a little tear, you are made of sterner stuff than this writer. Laughton takes my breath away in "Rembrandt". I came across the movie by accident years ago and was transfixed. Oh, and best wishes for your Bing article in the CiMBA contest. That's the one I'm rooting for! Caftan Woman, we of Team Bartilucci fell in love with Charles Laughton after seeing his performances in WITNESS FOR THE PROSECUTION and HOBSON'S CHOICE! RUGGLES OF RED GAP has been another one of those movies we keep meaning to catch up with. Your delightful post is making me eager to catch up with it sooner rather than later! Dorian, while it is not an ideal way to view a movie, my daughter discovered today that "Ruggles" is on YouTube. You should have been here the first time I showed my daughter "Witness for the Prosecution". She jumped out of her seat exclaiming, "This is freaking awesome!" Such fun. Who doesn't love Sir Wilfred? Excellent piece as usual, CW. First time I saw Ruggles was at a campus screening in 1965, a rare American invasion of what was then called the "Friday Night Foreign Film Series". Coming out afterwards, my buddy turned to me and said, "Wow, you know what? That was a perfect movie!" Nearly half a century on, his assessment is still spot-on; Ruggles of Red Gap is indeed a flawless movie. CW - An all-around great piece on one of the best of film actors in one of his best roles. Like most "boomers" I first saw Charles Laughton in my early years on b&w TV - "Mutiny on the Bounty" & "The Hunchback of Notre Dame." Later came "Witness for the Prosecution," "Ruggles of Red Gap" and "Hobson's Choice" + the knowledge that he directed "The Night of the Hunter" and played Claudius in the shelved '37 production of "I, Claudius" (the footage that survives has me wondering if Derek Jacobi didn't base his portrayal of Claudius' stutter on Laughton's). You really captured the heart & soul of "Ruggles of Red Gap," and eloquently. Really enjoyed this post, CW, and learned a thing or two, in the bargain. Excellent. Oh, what a great article about a film that everyone agrees is great, but is rarely seen. 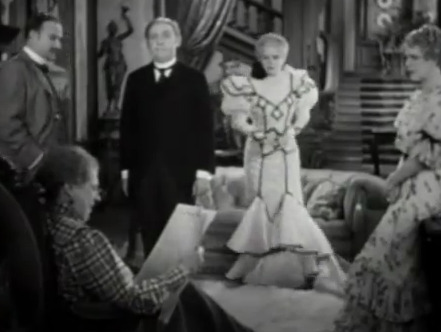 Charles is quite sweet in this one and thanks for giving a shout-out to those fabulous Travis Banton costumes. Really well done (as usual) CW! I love Charles Laughton, in every movie I have ever seen him in. He is nothing short of perfection. I will run over to youtube and watch this film. Jim, what a wonderful treat those "Friday Night Foreign Film Series" flicks must have been. Your friend is certainly astute. Some people don't believe perfection can be attained, but I guess those people haven't seen "Ruggles of Red Gap". Thanks so much, Lady Eve. Laughton always makes an impression, and I think more so when we first see him when we are young. Thanks, FlickChick. I hope we may be entering an era where "Ruggles" is not only well-regarded, but starts popping up on television with the frequency of "Casablanca" or "Dial M for Murder". Dawn, you are in for a treat! How much I hate to admit this, but I don't think I've ever seen RUGGLES OF RED GAP -or- REMBRANDT. I'm adding the two titles to my Must See List AND hoping Netflix will provide. Thanks for a wonderful review, C.W. I love Charles Laughton, and I don't know why I haven't seen this. It sounds just wonderful. One thing that really makes me want to see it, and a very good phrase of writing it is, is what you term "the eloquent silences of Leo McCarey." What an elegant way to say what is so true. "Going My Way" is one of my favorite movies, and he uses that to perfection in that sweet little movie. I really enjoyed this CW, and Ruggles probably has another fan in the making! Yvette, there is nothing wrong with you. I think that movies come to us when they are supposed to - and think they are supposed to come to you immediately, if not sooner! Thanks,Becky. I might have known you were a fan of McCarey's work and of "Going My Way". I would be shocked if Ruggles didn't find a place in your heart. I like this: "McCarey pulls the audience along like a packet boat on the Erie Canal. We will get where are supposed to, to the payoff – the laugh, and we enjoy it more for the trip taken." However, now reduced to several hours of not being able to get the Erie Canal song out of my head. This is one of those movies I've managed to see only bits of. I like your comment that movies come to us when they are supposed to come. Very existential. Very zen. I feel less guilty and more at peace. Thanks a lot, Jacqueline. You made my day. I typically like my Laughton nasty, but you've got to love Ruggles! He does so much with his face here he practically transformed into a puppy dog. Loved your look at the movie, especially the Leo McCarey paragraph! Speaking of "practically transformed into a puppy dog", I love the scene where Ruggles runs away from Mr. Barker. I wonder if Laughton cared for dogs himself. One of my favorites, and pretty much a perfect movie. The only flaw is which Charles here do I prefer - Laughton or Ruggles? I love 'em both. What I especially like about this movie is its effortless genial nature. The movie doens't have a mean bone in its body. You can't watch "Ruggles of Red Gap" without coming away with a feeling of kindness for all. I'm glad I didn't see it before hand. It might have held me back.